This year as the clock ticks down towards the NHL season, the writers here at BTI will be bringing you our preview of all 31 NHL teams, in 31 days. Rolling along through the Pacific Division, today we have the Calgary Flames. Calgary looked like a near lock to make the playoffs after doing so the season before. They added Mike Smith to sure up their goaltending, Travis Hamonic to an already stacked defense, Father time himself Jaromir Jagr, inked a one-year deal, a late signing of Kris Versteeg added depth and also stole a potential top 9 player from the rival Oilers, all looked good in the stampede city. The Flames were competitive out of the gate opening the season 12-8-1, good enough to stay in the hunt for a playoff spot. Time finally caught up to Jagr, ending his season only playing 22 games (1G, 6A). Mike Smith, who hadn’t had a GAA under 2.5 or a SV% above .917 since 2011-12, was trusted to be Calgary’s #1 goalie and didn’t deliver, costing them more than a handful of games. Hamonic proved to be an overpayment that cost the Flames high 1st and 2nd-round picks in Junes draft and another 2nd in this year or next. In the end though, it was Calgary’s streaky play that killed their playoff hopes. They’d managed to win 3 games in a row just twice before rattling off 7 straight to start the new year. With a record of 25-16-4 (54 points) they sat 2nd in the division only to the surprise juggernaut; Vegas Golden Knights. It was all downhill from there though, as the Flames would lose 6 straight on their way to finishing out the season 12-19-6, missing the playoffs. Gulutzen gets the ax after failing to make the playoffs, which means Brad Treliving gets to see another season as GM. Making the most of the opportunity, Treliving pulled the trigger on the biggest move of the off-season, acquiring budding defensemen Noah Hanifin and productive forward Elias Lindholm. Dougie Hamilton was a large price to pay but from all accords it seems as if he wasn’t a fit in Calgary’s locker room. James Neal brings 30 goal potential to Calgary and a much needed punch to get into the playoffs. Depth signings like Derek Ryan and Austin Czarnik help keep the bottom 6 competitive as well. Being drafted 5th overall comes with a lot of pressure, you are expected to be an immediate impact player and a superstar in the NHL, fair or not. After back to back seasons at 45 and 44 points respectively it’s time for Lindholm’s star to shine. With newer, better running mates in Calgary it’s time for Lindholm to show the potential that he has flashed in Carolina. He should seemingly be able to play anywhere in the top 6 whether that will be centering the 2nd line or RW on either the 1st or 2nd is yet to be seen, but the expectancy to deliver will be. Look for Lindholm to really come out of his shell this season putting up career highs across the board. 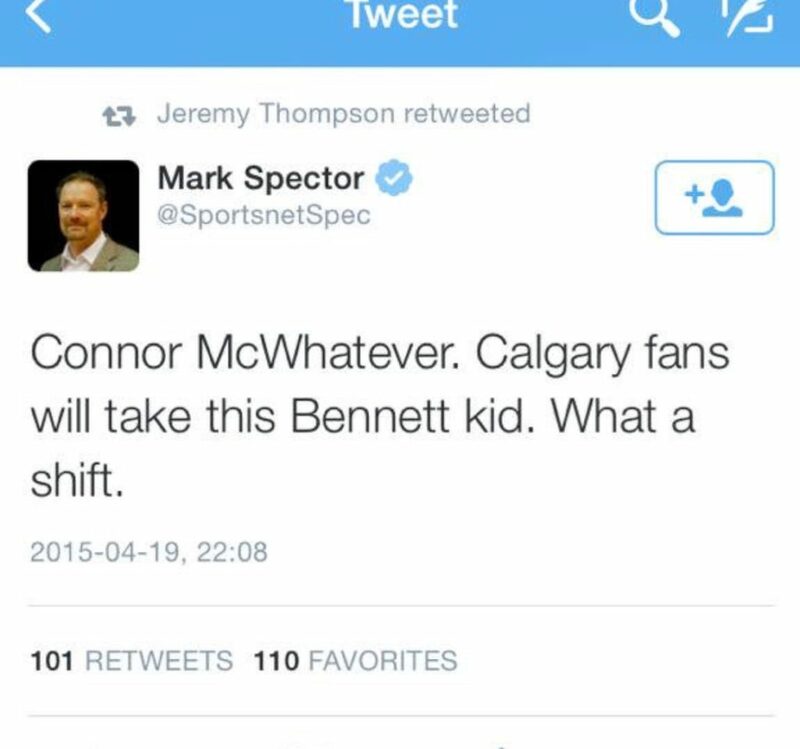 Whatever it was I said about there being pressure on top 5 picks, double it for Sam Bennett. After putting up 36 points in his rookie season, Sam has finished the last two with 26 points each. The timing couldn’t be better for Bennett to prove what kind of player he is, money is a great motivator and Bennett is entering the last year of his contract and will be an RFA after the season. If Bennett can put up numbers north of 40 points he should be able to land an extension similar to players with similar point totals like, Tom Wilson … well $5 million plus is a stretch for Bennett, but a good year is not. Ryan took the unusual path to the NHL. 4 years at the University of Alberta, followed by 3 more in Austria and a year in Sweden before eventually being signed by the Carolina Hurricanes in 2015. Ryan is entering his 3rd-full pro season in the NHL. With the Flames loaded at center its unclear if the plan is to play Ryan on the 3rd or 4th line. If it is indeed the latter, Ryan’s number should take an expected hit. 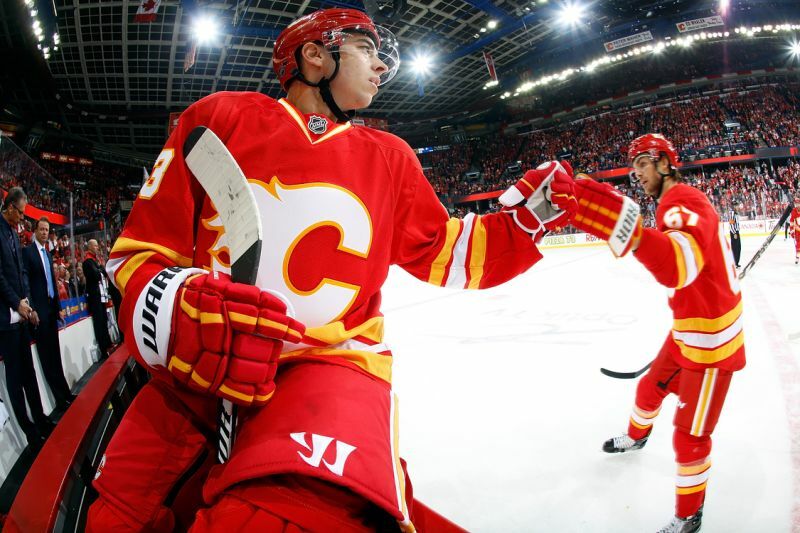 I believe this season the Flames will have a bounce back year and squeak their way back into the playoffs. I really like the moves they made this season, Neal should be an impact player most likely playing on the top line alongside Johnny Gaudreau and Sean Monahan. Speaking of Gaudreau he set career high in points last year with 84 and I could see Johnny moving into 90 point territory this year. Moving Dougie Hamilton allows Calgary to reunite Mark Giordano and TJ Brodie, who had their most successful years playing alongside one another. Hanifin brings youth onto Calgary’s D corps and an eventual successor for Giordano. As well Lindholm coming in solidifies Calgary’s top 6 in a way Ferland never could. Goaltending will continue to be the biggest question mark for the Flames and if Mike Smith can’t handle the job, Jon Gillies and David Rittich would be more than happy to relieve him of his duties. Comeback tomorrow as we turn the calendar to day 4 our 31 in 31 featuring the Edmonton Oilers.